As spring begins, so will the wedding season and a whole new bunch of wedding trends to get excited about. While classic wedding themes will never go out of style, a touch of a trend can set your day apart and make it more individual to you. 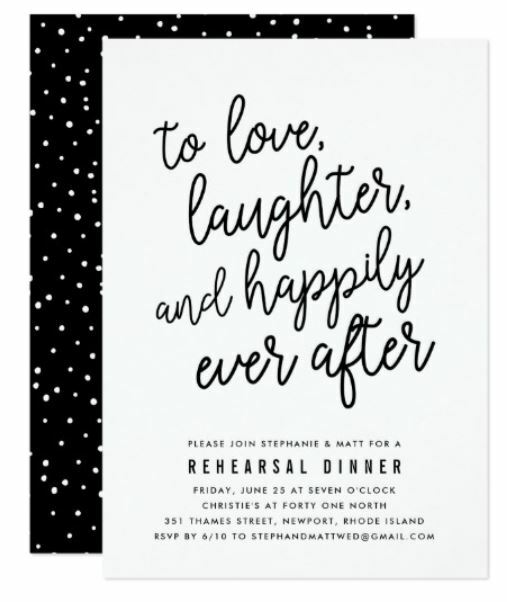 So now that chalkboards and burlap are behind us (mostly), what will be the dress, stationery, reception, food or décor this year? From ultra violet to see-through table settings, there is lots of fun to be had. 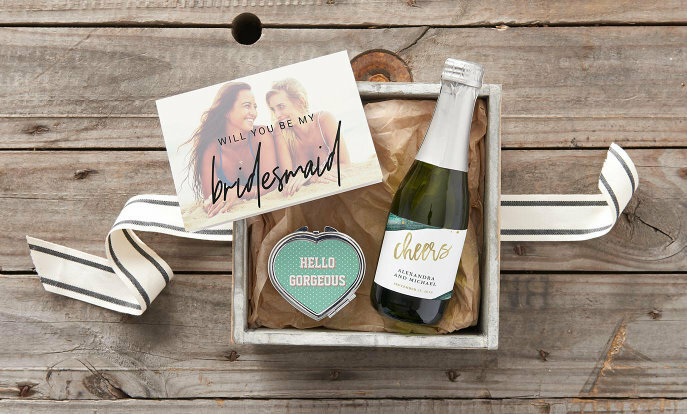 Get in there first with our guide to 2018 wedding trends. Pantone of the year always plays a part in setting wedding colour trends. In 2018 it’s all about ultra violet, a deep blue-based purple with cosmic or even regal undertones. It might seem a bit bold, but sprinkled throughout your wedding – in the invites, table settings, bouquet ribbons or bridesmaid dresses – it can add energy and depth. The whole purple palette is trending too, from lavender to lilac. In 2018 we’ll be seeing a shift away from soft pastel palettes to the dark and dramatic. Rich and moody hues like burgundy and deep purples will appear in floral arrangements even mixed with berries and boho details like feathers. With a dark fairytale feel, this wedding trend works well for winter – it would look stunning against the snow. 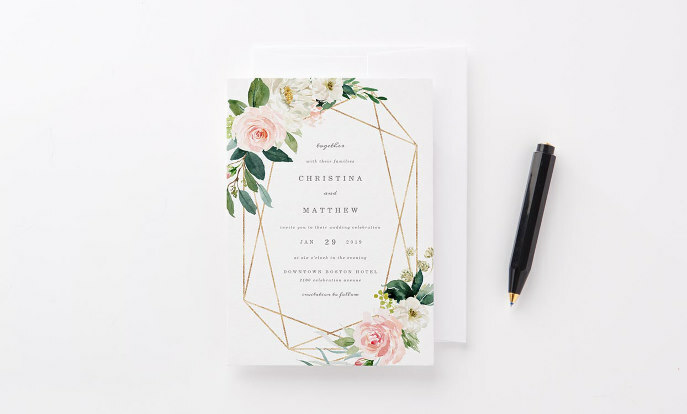 Set the tone from the beginning with dark floral invitations. Last year’s Pantone of the year, greenery, was a huge hit and in 2018 it is only set to grow. Not only is this trend visually beautiful but it’s budget friendly too. Try lush plants like ferns, eucalyptus, vines or succulents for stunning shapes or herbs like lavender, rosemary or thyme to even perfume your venue. Use to line your aisle, on the table tops and in bouquets. You can illustrate your theme on your stationery and other details like napkins or favour bags. 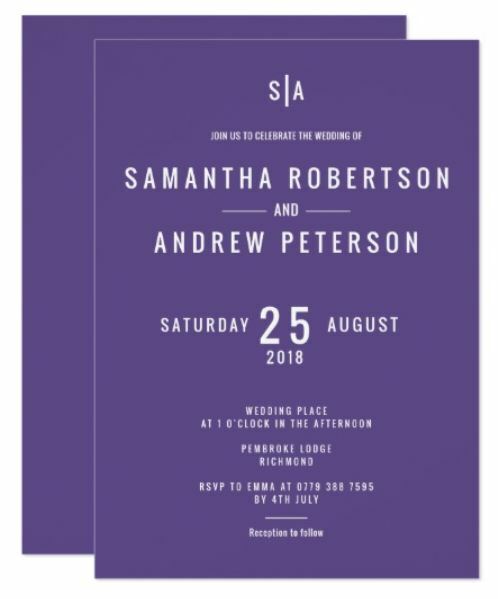 Monograms have long been a chic way to personalise your wedding, on invitations, cakes, napkins and programmes. 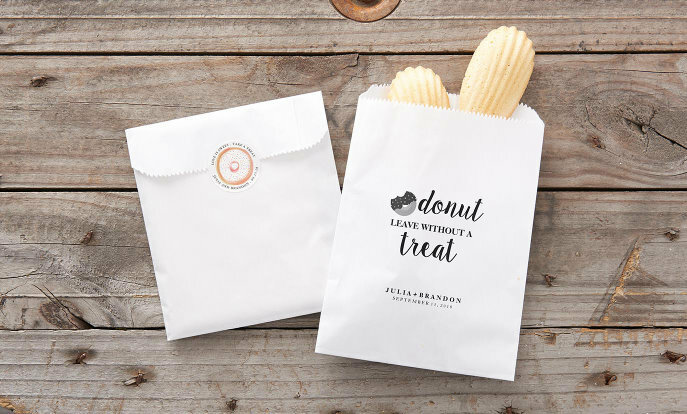 But now couples are going beyond simple initials and commissioning more whimsical letter art with floral flourishes or even heraldic style crests. 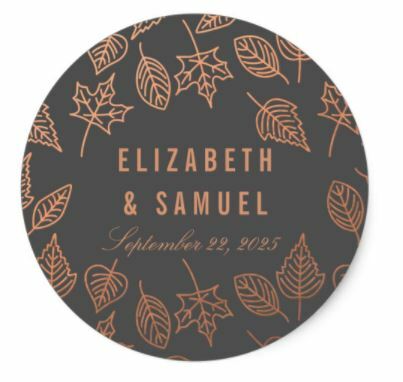 On Zazzle you can print yours on everything from save the dates to favours. Straight from the fashion pages, this trend is bold but beautiful. We’ve seen high-end wedding gowns with black accents, black bridal crowns and bridesmaid dresses. If you don’t fancy a dark wedding dress, you can still try black ribbons, invitations or favours. Black table settings like table cloths, place mats or napkins also look stunning paired with gold cutlery. From food-stations to trucks, eating is becoming more and more of an experience at a wedding. Unlike a sit-down meal, informal food means more mingling. It’s also a fun way to show off your personality by choosing the foods that mean a lot to you – from your cultural heritage to favourite guilty pleasures. Dessert tables offering a whole range cakes also go down a treat. Add some more personality to your food stations with personalised paper party supplies like plates, napkins, cups and more. Move over rose gold, copper is this year’s must-have metallic. Perfect for an autumn wedding, copper accents such as cutlery, lanterns or even tables and chairs create a warm and cosy glow. It pairs well with dark colours like navy or a paler blush pink, but also with marbles or concrete materials for a more industrial look. Mid-century design is having a moment, and with it we’re seeing the use of see-through materials like acrylic, Perspex and good-old glass. From glass marquees to floor-to-ceiling windows to see-through dancefloors, clear décor is modern and fun. It lets the light in and quite simply makes your space look bigger and brighter. These minimalist materials also put the focus on what they are displaying or holding, from colourful cakes to bright bouquets. Try serving the bubbly on Zazzle’s acrylic trays. From the actual moon, sun and stars to mythical astrology, celestial themes are set to trend in 2018. There are many unique and beautiful ways to add a celestial vibe to your wedding, from fairy lights and disco balls to star sign favours or crystal-encrusted headdresses. 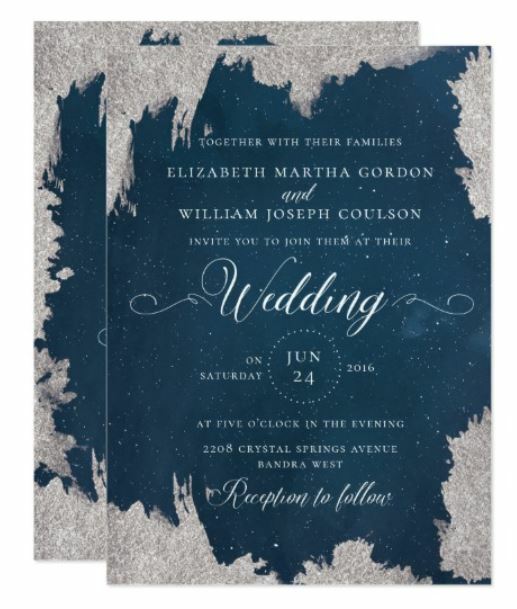 While constellations and phases of the moon can create stunning graphics and interesting names for table plans. We think this trend is truly out of this world. Typography is nothing new but couples are being more and more playful with their words. 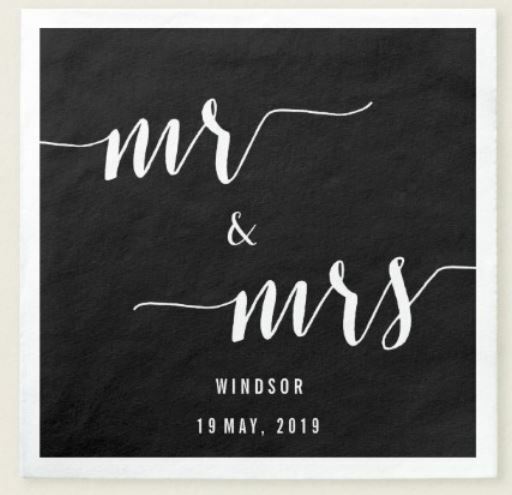 Wedding signage spelling out your last name, nicknames, favourite quotes or an in-joke adds a fun and personal element to your wedding décor. They can also be repurposed in your home as a memento of the day. Wood or acrylic wall art or neon signs, will all make the transition from your wedding to walls. There are plenty of ways to rock the geode trend on your big day. 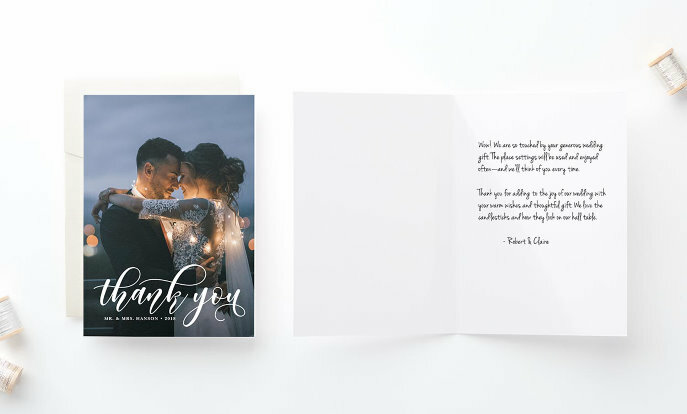 The beautiful colours and curvaceous shapes in these rock formations work beautifully printed on the invitations, table cards, plates and more. Couple are even ordering geode wedding cakes in jewel colours and encrusted with sugar crystals. Wedding arches have long created a focus for the ceremony and of course the photographs, but in 2018 some new shapes will set the scene. 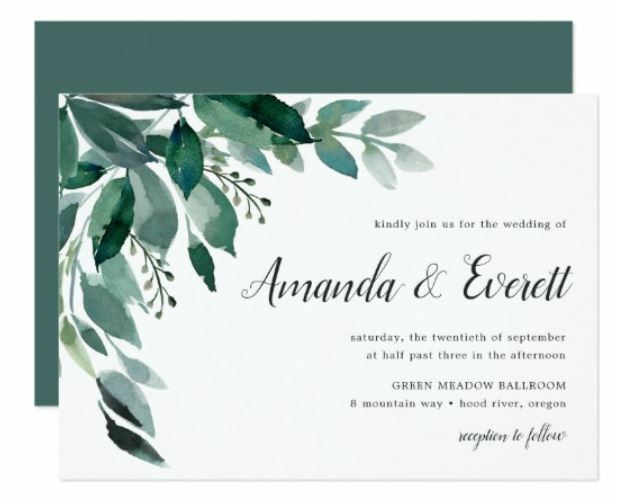 Full-circle wedding wreaths are not only on the invites, but in the actual wedding. Whilst geometric backdrops like A-frame arches or diamond shapes are also being spotted in on-trend ceremonies. Bold backdrops elsewhere in the venue add a personal element and photo opportunities, from flower walls to commissioned murals. Let’s face it, the weather can’t be trusted. So rather than refreshing the forecast every few minutes, why not go indoors. 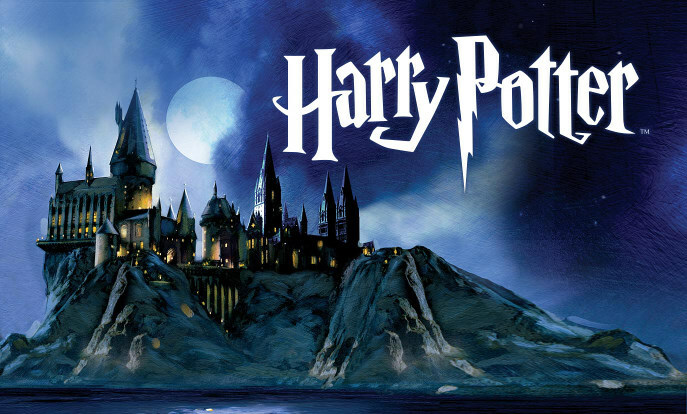 Your inside reception doesn’t have to be a castle or manor house. Industrial loft-style spaces, museums ad even pubs are becoming more popular. Select a space that played a part in your relationship – where you had your first date or where he proposed. Low-key venues strip away formality and make guests your guests feel at home so you can just enjoy each other’s company. Better than a soggy wedding dress any day.